I will reuse a lot from the second post, mentioned above, as it is most often the same configuration, but I will show the used configuration to make sure nothing is missed. Copyright (c) 2010-2014 Hewlett-Packard Development Company, L.P. This ACL needs to be applied to the outgoing interface. The configuration consists of three parts. 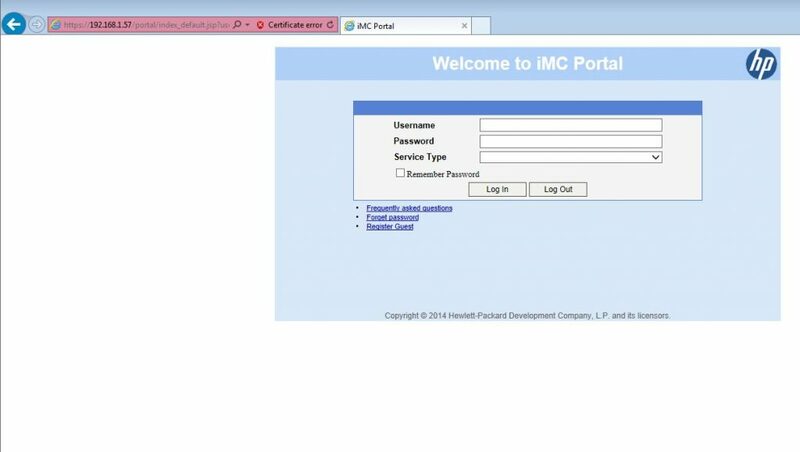 The first part is the configuration for the portal protocol, which is used for the communication between the controller and the UAM portal and consists of the UAM portal server IP and the UAM portal server port. 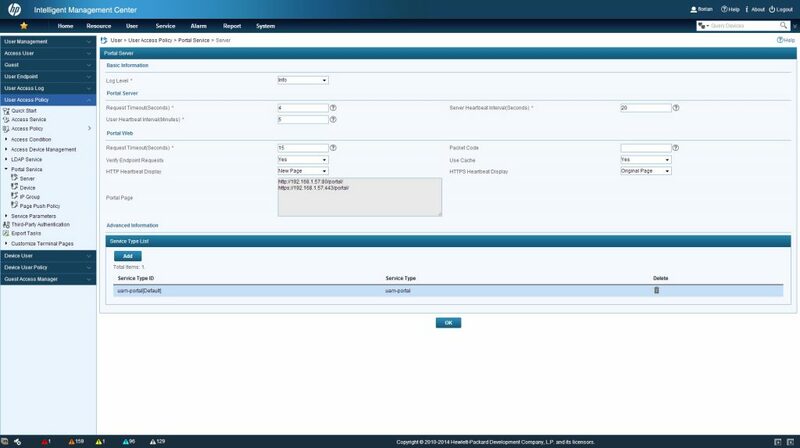 The second part is the shared secret, used to authenticate the access device and the UAM portal server. The last part is the redirect URL which is used for client redirection to the authentication page. Those two rules will allow https to the UAM portal server. The last line will bind the portal to the VLAN interface and force every user to login before passing the controller. I insert the required information, which is very self-explaining. The only tricky stuff, is the “Action” part. Here you need to select NATing, if required, and the IP which will be used as the NAT IP for the clients. This has to be the IP, which is requesting the UAM portal page from the server. In my case, it is the outgoing interface where the NAT ACL was applied to. I will insert a “Device Name” and the “IP Address”. The “Key” is the one, used with the portal configuration in the controller. Optionally, there is a description. There are also other option, but to keep it simple, I will leave them as default. If connecting to the SSID, the UAM portal welcome page should be visible with the created service ID as the “Service Type”. I just changed the used domain, to the one created above, but the steps are the same. Any feedback and questions are very welcome. Just leave a comment.